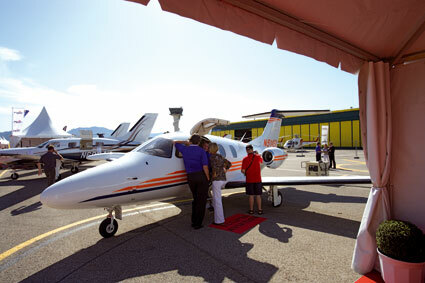 The Eur Avia aviation trade fair is about to take place in Cannes Mandelieu airport. Partner Air France is offering special tickets. If you intend on visiting, click this link for a special offer from Air France. Eur-Avia Cannes covers both the new and second-hand markets, with private individuals and professionals exhibiting second-hand planes. Conferences this year include: “can airports and neighbours make good neighbours” and “buying a second-hand plane”. Read more about Eur Avia.